Tulo made a few changes this year from last, but his shoe game is still tight. Unfortunately, I can’t really say the same for his batting gloves. He made a really strange choice with those, especially since he’s got a fresh pair of PEs already for sale. We wish we knew a little more. 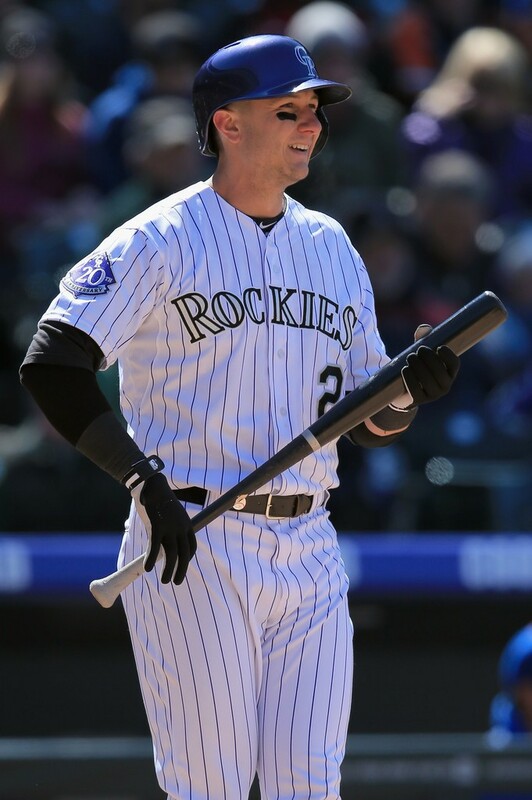 One thing we do know, however, is that the 3-4 combo of Cargo and Tulo is the freshest in baseball. Tulo abandoned last year’s Huarache 2K4 Low exclusives for a totally custom version of the ever-present 2KFresh cleats you see below. There’s nothing like these colors out there but the model is very much available. The 2K4 is also available. Tulo looks like he’s been swinging his Rawlings TULO2 model this year, too, but most recently we’ve been seeing a lot of Tucci’s 271, the same bat that Prince Fielder swings. Tulowitzki’s exact bat model is available via TLBats.com, you just have to do the customizing yourself. 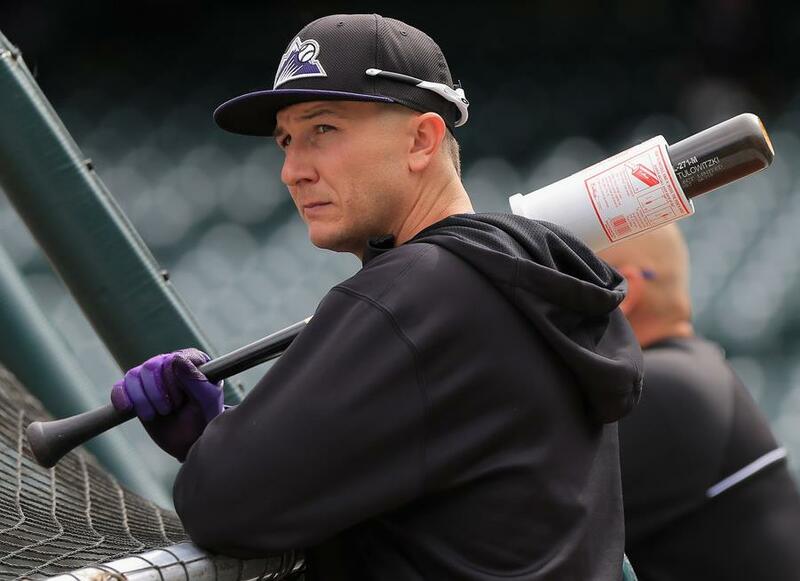 Probably the most peculiar piece of equipment we’ve seen since the inception of WPW, Tulo has been wearing a set of Nike gloves that, upon further review, are not actually Nike. Luckily, we have some really knowledgeable readers of this site that helped us figure this one out. These gloves are the Franklin Cold Weather Pro, available online. Thanks to WPW readers Bryan, Rob, Jack and Peyton for helping me out with this one. Denver has been cold, necessitating more tack and insulation, but since he’s got a Nike contract, he can’t wear any other brand. So Nike threw THEIR logo on a Franklin glove, and everybody gets what they want. Tulo’s Nike PE’s, which he’ll probably go back to at some point, are. This one isn’t available, sadly. The Franklins are cold weather gloves with extra tack and insulation. Been subzero in Denver hence the gloves. Nike doesn’t make cold weather gloves. I am not sure, but a lot of players have been wearing those batting gloves and tearing of the logo on cold nights. I believe they might be some variation of the Franklin Cold Weathers. Some of the examples that I saw were Joe Mauer and Todd Helton. 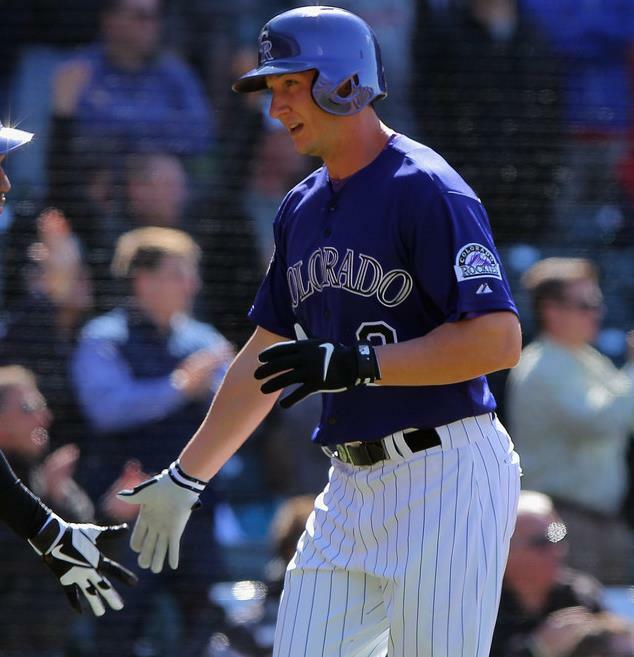 Tulo has gone back to his customs and solid purple (same as CarGo) Nike’s since the start of the regular season. He wore the bizarre Franklin/Nike Frankensteins during spring training. Any picture in his Yahoo gallery or videos on MLB.com will back up my claim.